For the second year in a row, Vancouver-based carrier Telus has secured the title of fastest mobile network in Canada, as rated by PC Mag. Bell Canada came in second place, followed by Rogers Communications in third. PC Mag’s report, where these statistics were published, also disclosed some very interesting information. For one, The Big Three Canadian carriers all reported being able to provide their subscribers with an average of 99 percent time on LTE when using data. As well, PC Mag has announced that “Kingston, Ontario not only has the fastest wireless speeds in Canada, but it also provides subscribers with the fastest wireless speeds in North America.” North-America’s second fastest city is also in Ontario, and is listed as the tri-city area of Kitchener, Waterloo, Cambridge. Telus says its growth comes from the success of its wireline and wireless businesses. Its wireless business made “$1.5 billion in revenue, an increase of four percent over last year.” Telus also added 48,000 new subscribers to its wireless service – which is 4,000 more than it added in Q1 of 2017. Most analysts predicted Telus would add somewhere between 35,000 and 39,000. Telus has a total wireless subscriber base of around 8.9 million. Koodo – a subsidiary of the Canadian telecom giant Telus – has recently launched an enticing new refer-a-friend deal that rewards both the original customer as well as referral. Under this offer, both individuals would receive a $50 bill credit. Koodo has specified that only when the customer is activated and “all the requirements” have been met, will the money be awarded to both parties. The deal expires March 1st. According to a document obtained by MobileSyrup, Canadian carrier Telus will be increasing the prices of its SIM cards from $15 CAD to $20 by October 17. This seems to be in place of Telus charging a ‘connection fee’ like their main competitors, Bell and Rogers. The increase in prices is frustrating, but not unreasonable in comparison. Activating a new phone with Telus currently costs the SIM fee of $20, while the same at Bell costs a $25 dollar connection fee. Rogers charges the most with a $25 activation fee plus a $10 SIM fee. The cheapest option of the big name carriers is still Telus subsidiary Koodo, which sells its SIM cards at $10 with no connection fee. The last few years have seen a lot of people engage in cord-cutting behavior, retiring their landline phones to rely only on their mobile devices. Canada is no exception to this trend. New data from Bell, Rogers, Telus, Shaw, and MTS shows that carriers have lost a combined 540,000 landline subscribers in 2015 and 2016. This number only accounts for the major carriers. Convergence Consulting Group estimated, when taking into account smaller regional carriers, about 636,000 Canadians ditched their landlines in 2015. By the end of 2016, it’s expected that 37 percent of Canadians will be wireless-only households. This actually poses a bit of an issue for telecom companies, who made $5.2 billion from home phone services in 2014, according to the Canadian Radio-televivision and Telecommunications Commission. 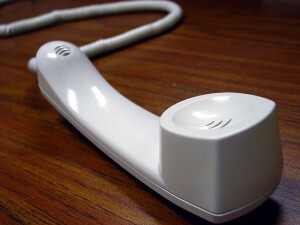 Most users do not replace their landline with a designated home wireless phone, but continue to use the cell phones they already own. So what will the telecoms do? Focus their attention elsewhere. “Know at the end of the day, broadband is the only product they’ll most likely survive with,” Macquarie analyst Greg MacDonald was quoted as saying. If you cross the U.S.-Canada border often for work, family, or whatever the reason, having a second phone to save on roaming fees may not be your best option. 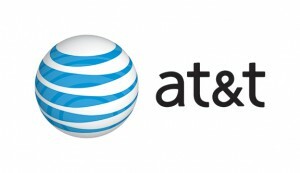 AT&T is now offering free roaming in Canada and Mexico to subscribers on a share plan of 15GB or higher. Considering how expensive roaming can get, this is a big deal for frequent travelers. To break it down, it would be $100 a month for the 15GB plan plus $15 for the phone line, adding up to $115 a month, or $150 CAD. This is less expensive than any of Canada’s Big Three carriers’ 15GB plans. Bell and Rogers charge $155 CAD for the same, while Telus doesn’t offer a 15GB plan, but passes the $150 mark at 10GB. AT&T’s new roaming rates will begin May 20. Smartphones are expensive and it’s not unusual for someone to try to get back a few bucks by selling their old phone online. 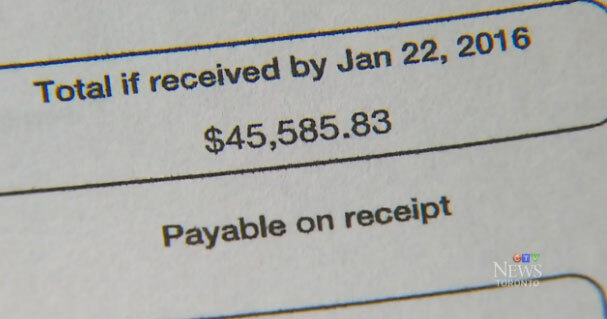 But one Canadian woman has learned an important lesson after receiving a bill for over $45,000 for a phone she no longer owned. Kelly Arsenault opened a business account with Telus several years ago and when her three-year contract was up, she posted the phone on Craigslist and promptly sold it. She thought the account had been closed. So imagine her surprise when she opened the outrageous bill. Turns out, as far as Telus was concerned, the account was still active. 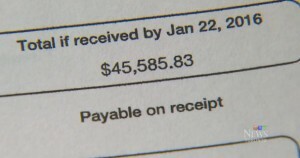 The person who had purchased it online realized it still worked and had churned through a hefty amount of data, racking up the big bill. The matter is still under investigation but Telus says it doesn’t expect Arsenault to pay the outstanding charges. This story serves as a word of warning for anyone thinking of getting rid of an old phone in a private sale.